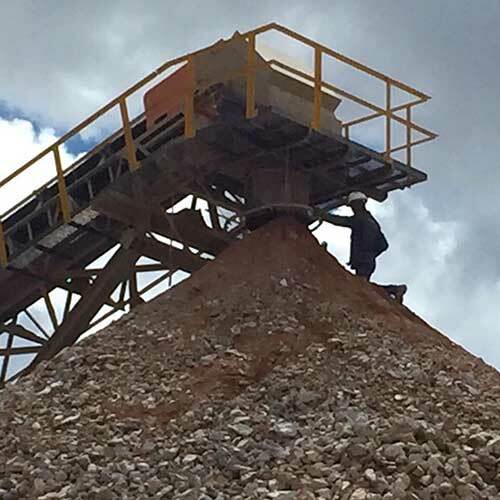 With the support of our experienced team, we offer highly effective dust suppression solutions that address dust, erosion, and stabilisation problems on haul roads, tailing dams, and other problem areas in the mining and construction industries. Complete dust control services, specifically engineered to meet the objectives our clients. Dust sampling and recording performed on site, compiled into a detailed report. Monitoring and managing fugitive, respirable, inhalable and total dust levels. Improving the crust and core strength, stability and surface texture of dirt and gravel roads. Implementation and management of eco-friendly chemical dust control solutions. Cost savings and benefits forecast per site. Request a call and one of our experienced team members will contact you to discuss your dust suppression requirements. Fugitive dust pollution can have serious financial and legislative effects. Use atomised mist technology to drive airborne dust particles to the ground, seal the surface and prevent fugitive dust. 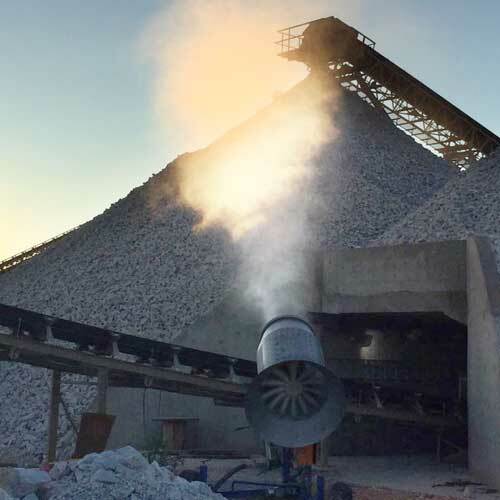 The Dust Misting System is a cost effective way to control dust on crushing plants, screening plants and in mines. The mechanism creates a curtain of mist around discharge points and stock piling conveyors capturing fugitive dust before it can be released into the atmosphere. Each unit comes with misting nozzles which can be adjusted to suit individual applications. The misting device can be assembled into 5 different shapes, and nozzles can be added or removed according to requirements. From the quarter ring to the ‘S’ shape the Dust Misting System can fit into hard to reach places, making it a very valuable device for combatting dust. Maximum of 6 bar water pressure. Maximum of 40 litres per minute.